Luxury vehicle brands add a touch of class to your everyday driving experience with added standard amenities and interior comforts. 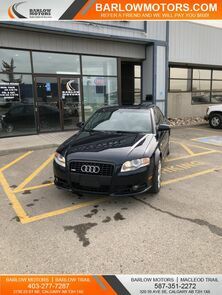 When searching for a luxury brand in the Calgary, Alberta area, Barlow Motors is the easy destination that allows shoppers the opportunity to see a wide range of luxury vehicle models all in one location. Whether you are searching for Mercedes-Benz, Audi, BMW, Acura, or INFINITI, Barlow Motors in Calgary carries what you are looking for. Read on to find out the advantages of owning a used Luxury vehicle and how Barlow Motors can make it affordable and help you get into the driver’s seat of a luxury vehicle simply and stress-free. Where Can I Find Used Luxury Vehicles Near Me? 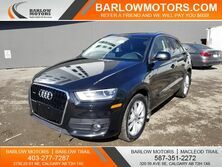 Barlow Motors in Calgary, Alberta is your destination if you want to see a vast assortment of used luxury vehicles all in one spot. With an ever-evolving inventory, our selection of luxury vehicles is always changing and presenting new opportunities for you to get into the luxury car or SUV that you have been dreaming about. Finding a late-model used luxury brand vehicle from Barlow is easier on your pocketbook than stepping up to buy brand new. Most of the upgrades from model year to model year are negligible and that is why a used luxury vehicle still provides all of the amenities and comforts you want but at a discount price. Barlow Motors in Calgary also makes the car-buying process simple with our Trade-In Estimator and Safe & Secure Online Credit Approval. These finance tools help streamline the entire shopping process and let you know exactly how much you can spend on purchasing your dream used luxury vehicle. We know that our customers time is more valuable than any other resource they have and that is why we have tried to eliminate any unnecessary time wasted at the dealership by providing our convenient online research and shopping tools. If today is the day you decide to treat yourself to the luxury car you have been wishing for, then stop into Barlow Motors and let us help you get into the driver’s seat with a smile.